close. . HD Wallpaper and background images in the 소닉 더 헤지혹 club tagged: sonic hedgehog sega amy shadow. This 소닉 더 헤지혹 fan art might contain 애니메이션, 만화, and 만화책. 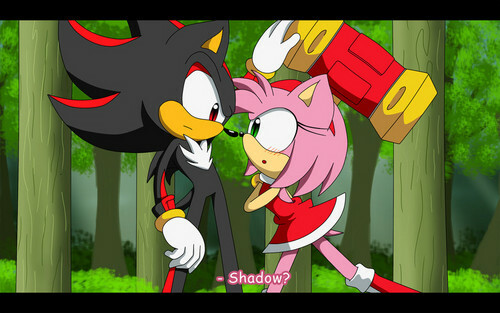 Sonic vs Shadow 또는 Sonic 프렌즈 with Shadow?? Stop fighting Amy and Sally Fans. We Should be 프렌즈 just like this Picture.